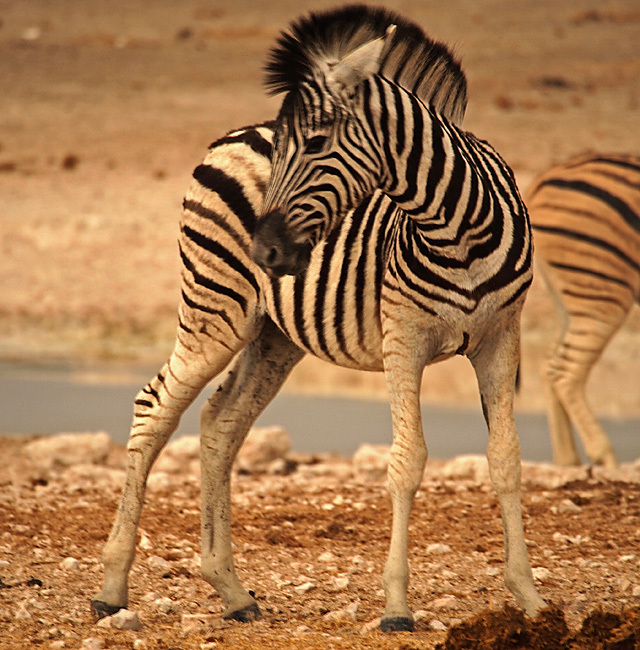 In Etosha the zebra is almost as common as the Springbok. 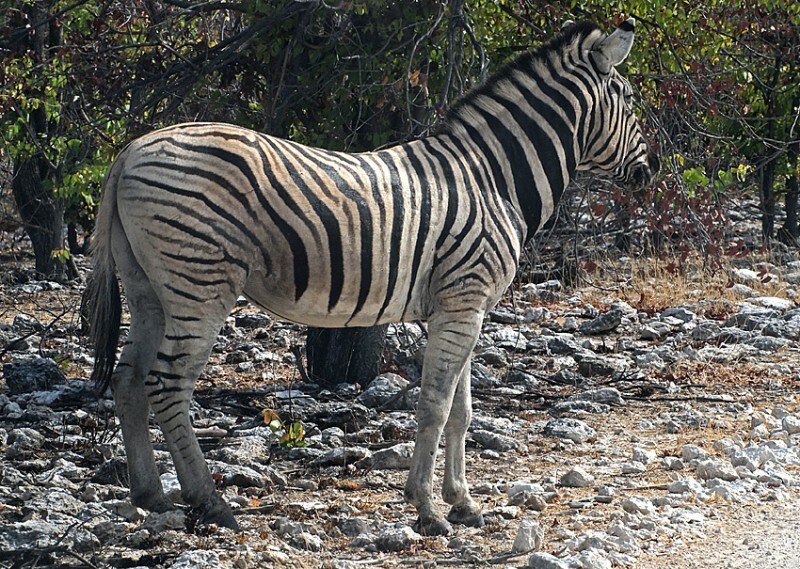 There are two kinds of zebras in Etosha – the plains zebra and the mountain zebra. We only saw the plains zebra, which is the most common zebra here. 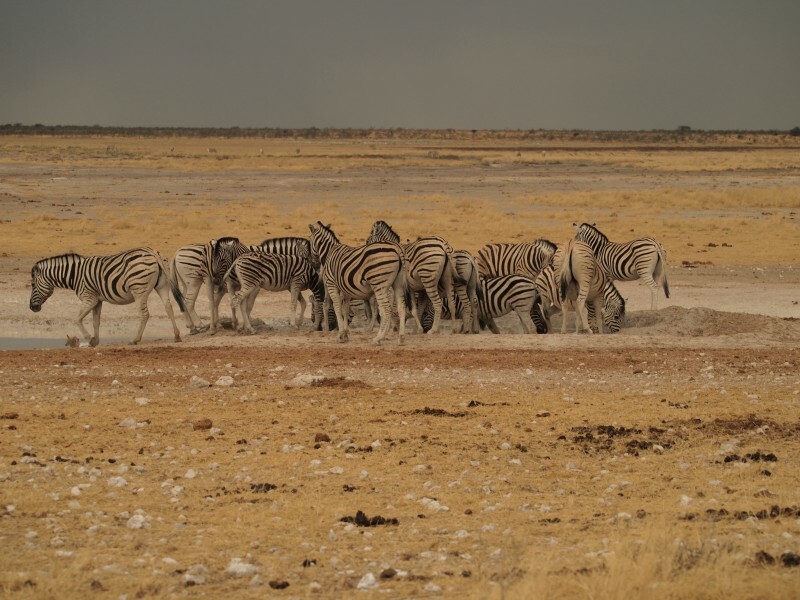 There are a lot af zebras in Namibia. Zebras eat mostly grasses and they are found in grasslands and savannas but also in woodlands, mountains and close to the coast. 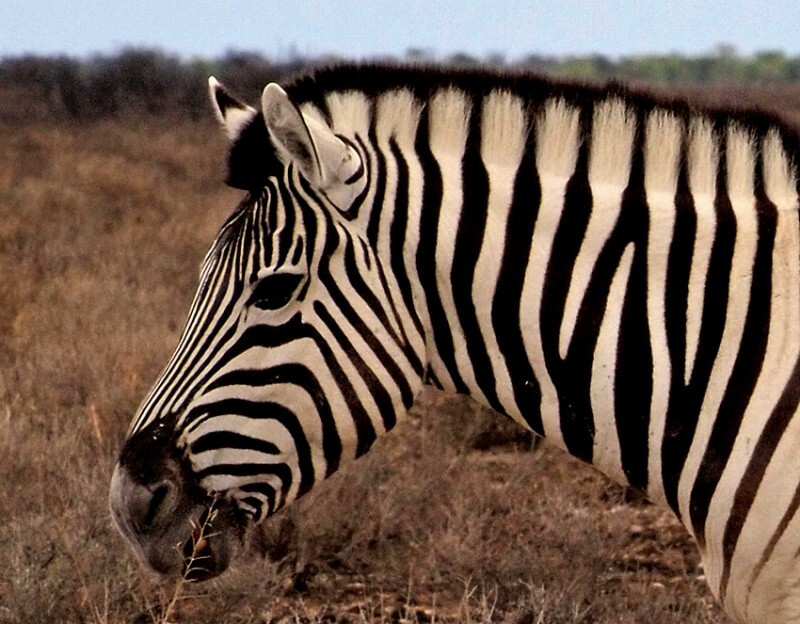 Zebra is a kind of a horse, but unlike its relatives it has rarely been domesticated. The zebra has remained wild. 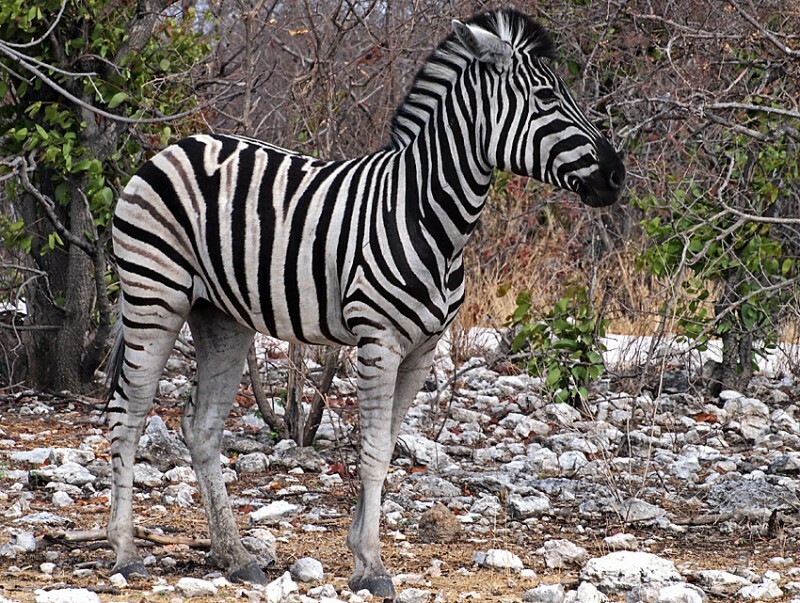 A zebra is about 130 cm at the shoulder and weighs up to 350 kg. Is a zebra white with black stripes? You might think so but experts say that they are black with a white belly and white stripes! There is a debate regarding the purpose of the stripes. Is it a camouflage that help them hide in grass? Or does the stripes make it difficult for a lion to pick one animal among a herd? There is even a theory that the stripes confuses the tse-tse fly. Zebras got excellent eyes and even see well in the dark. They also have excellent senses for hearing and smelling. 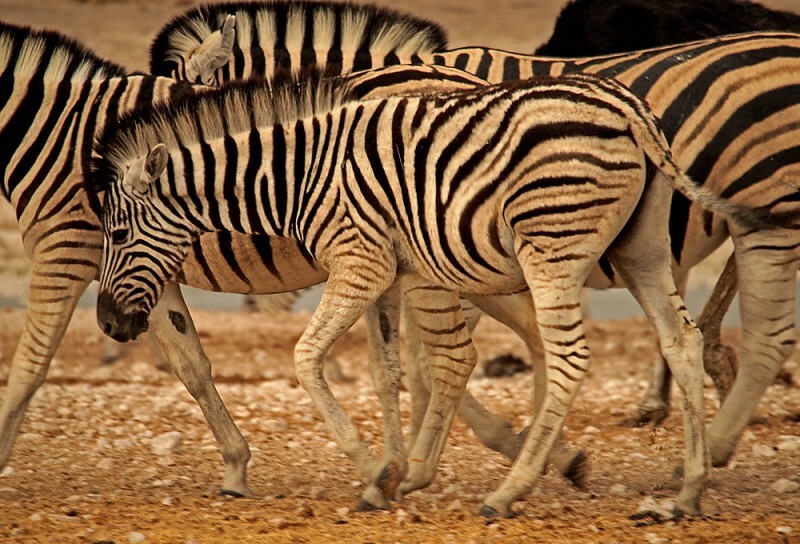 The zebra is not a very fast animal but they can keep on running much longer than their enemies. When chased, they run in a zig-zag pattern and if the hunter gets too close they will defend themselves with kicks and bites. 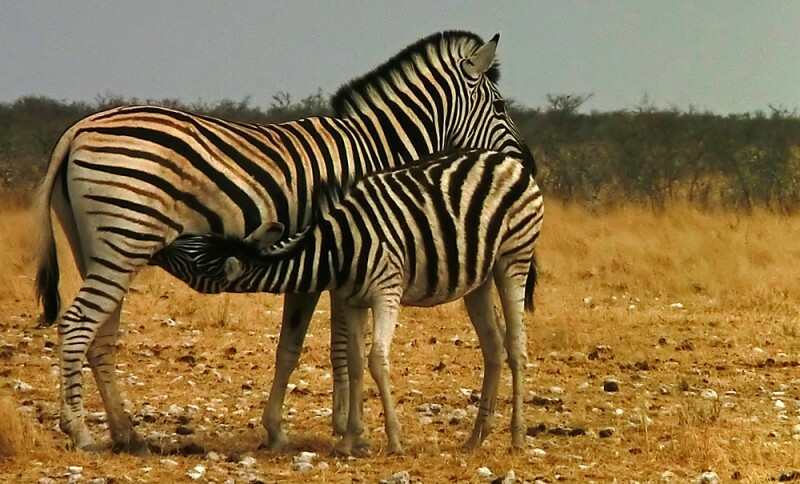 Zebras are highly social. They live in groups and when attacked can gather with the foals in the middle and the stallions as an outer defence.